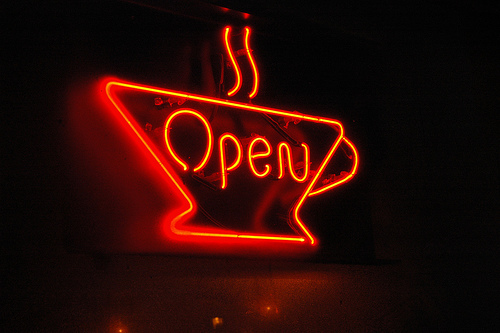 I have been talking to Denise Fay for a while now about organising an Open Coffee in Drogheda. We finally got the ball rolling today and put a shout out for possible venues to hold the first meet up. So far Bru and the D Hotel have been mentioned, both great locations. Suggestions much appreciated and of course all are welcome. I must say I am really excited as there are lots of fantastic, motivated people around these parts who I can’t wait to meet and share ideas with. I will post up date and location as soon as we have all the details together. Looking forward to seeing you in Drogheda soon. Look forward to it Alan – keep us informed. Looking forward to it! Let me know if you need a hand with anything. Thanks Sian and Campbell will have it up and running soon. Can’t wait! Also looking forward to finding out more details.